Harold M. Adams, 91, 230 Danis St., Mill Hall, died Sept. 6, 2018, at the Haven Skilled Nursing & Rehabilitation Center, Lock Haven. Born Oct. 24, 1926, in Greenburr, he was the son of the late James Garfield and Carrie Kahl Adams. On July 3, 1965, in Roaring Springs, he married Patricia Conn who survives at home. 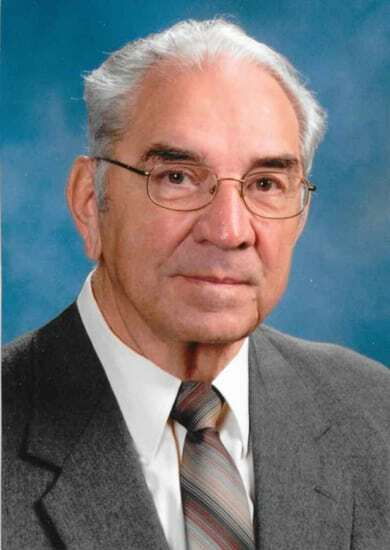 For eight years Harold attended a one room school which he fondly referred to as the “Greenburr Academy.” Harold graduated from the Sugar Valley High School. He was drafted out of his senior year into the U.S. Navy on Feb. 6, 1945. In the Navy he served at Bainbridge, Md. ; Norfolk, Va.; and Chincoteague, Va. He was discharged from the Navy July 16, 1946. For his service he received the WWII Victory Medal and the American Area Medal. Harold graduated from the Lock Haven Teachers College, now Lock Haven University, in May 1955. He began his teaching career in Blossburg High School where he taught English for 5 years. In May of 1960 he received his masters degree from Bucknell University with certification in Administration and Supervision. In September 1960, he was named principal of Blossburg High School. In August 1962, Harold was named principal of the Bald Eagle-Nittany High School, a position he held for 30 years until his retirement in 1992. Following his retirement Harold earned his private pilot’s license. One of greatest honors bestowed upon him was in June 1992 when the Lock Haven University recognized him as their “Distinguished Educator Award” for his 32 years as a high school principal. During his lifetime Harold belonged to and held offices in a number of organizations including: Member and Past President of the Kiwanis Club of Mill Hall; he had been a recipient of the Hixson Fellowship Award from Kiwanis International; American Legion Post 444, Millheim; the Lock Haven University Alumni Assoc., Executive Committee; Phi Delta Kappa; United Way Board of Directors; Clinton Co. Retired Educators; a volunteer at the Sentimental Journey Fly In; National Association Of School Principals; PA Associations of Secondary School Principals; Central PA School Principals; the three C’s Flying Club; a 50 year plus member, Bloss Lodge F & AM; Williamsport Consistory; Jaffa Shrine; and the Clinton Co. Shrine Club. He is survived by one daughter, Carrie (Kurt) Adams-Smith, Lock Haven. He is preceded in death by three sisters, Aileen Meyer, Ruth Koch and Jean Beschler; and two brothers, Gordon and Glenn Adams. A funeral service honoring the life of Harold M. Adams will be held 1:30 p.m. Monday, Sept. 10, 2018, in the Dean K. Wetzler, Jr. Funeral Home, 320 Main St., Mill Hall, with Pastor Susan Champion officiating. Friends will be received in the funeral home from 11:30 a.m. until time of services. Interment in the Greenburr Methodist Cemetery. The family will provide flowers and suggest memorial contributions to the Clinton Co. SPCA through the funeral home. Arrangements entrusted to the Dean K, Wetzler, Jr. Funeral Home.